I recently went vegetarian for a few reasons: ethical, environmental, and even health reasons. However, there is another reason that a lot of people don’t talk about: financial! There is a common misconception that to fit in with the “vegan lifestyle,” you have to be upper middle class, and able to afford shopping at expensive health food stores. But it’s simply not true! Some of the most frugal foods you can buy are vegan/vegetarian friendly, like rice, beans, and canned/fresh produce. And yes, while some meat substitutes can be quite pricey, not all of them are. A one pound block of tofu at my local Kroger is $1.88: compared to the absolute cheapest ground beef they have, which is $3.50 a pound. -Always buy extra-firm tofu; it’s more solid and meat-like. -Drain the package of water, then press the block of tofu between two paper towels and put something heavy on top of it- for about 20 minutes. -One method of flavoring it is to marinate it in sauce for a few hours. Then, cook it however you like- baking, frying, etc. 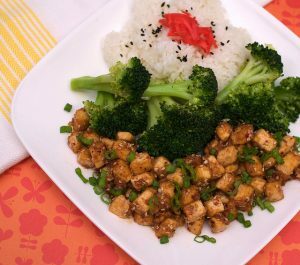 -Another method is to toss the tofu in a small amount of corn starch and then pan-fry it to crispiness!